If you’re wondering how to save your summer memories, there’s nothing more wonderful than a summer scrapbook. Especially in this time where digital photos just languish on your phone, it’s time to make something that the entire family will love going through. This post contains affiliate links. Summer goes by so fast. You blink and it’s time to get school supplies and get ready for another school year. What you’re left with is lovely memories of a fun summer spent with the family. 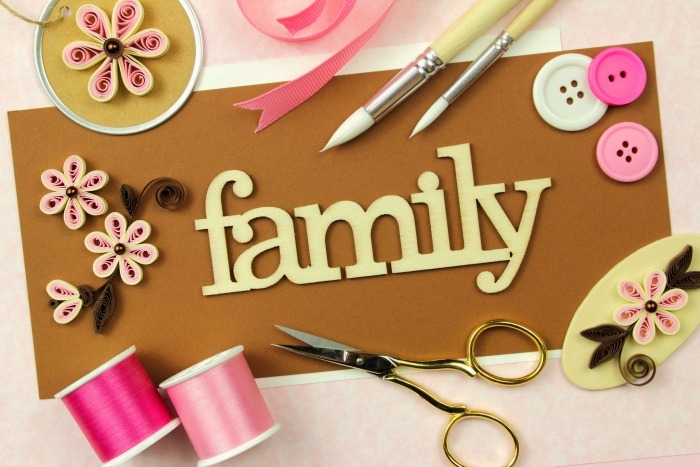 Why not hold on to those memories by creating a family scrapbook or memory box? Make it a family affair by creating it together. It will be a wonderful memento and something everyone involved will come back to again and again. 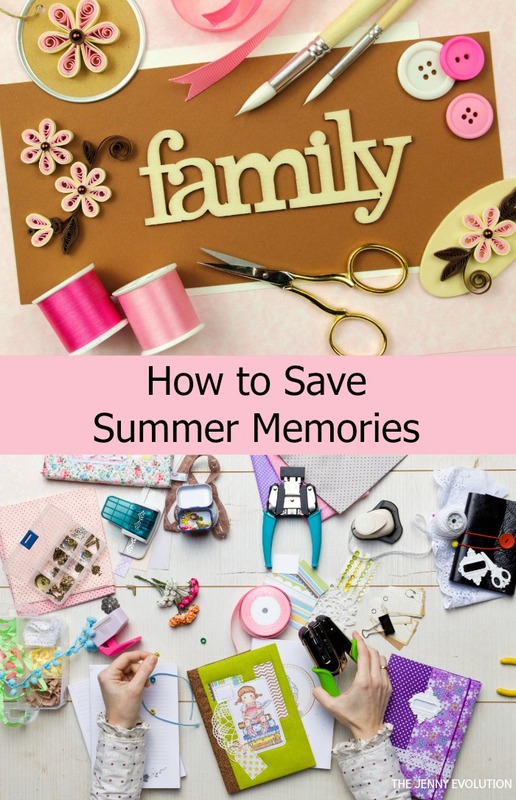 Take pictures throughout the summer, save ticket stubs and other mementoes and turn them into a family scrapbook that records everything you’ve done this summer. Once a week, or whenever you get back from a fun event take a minute to make a few notes about what you want to add to your book about it. This will make it easier to create down the line. Have the entire family share pictures, drawings, mementos and their favorite memories about each summer trip and activities. Print pictures and create the scrapbook pages together. Even if you’re not much of a scrap booker, you’ll enjoy putting this memory book together. There are some wonderful online scrapbooking courses you can take at home that will teach you how to get started with scrapbooking or how to create simple and clean layouts that look wonderful. Never miss a moment! Learn how to take gorgeous photos of your children at play, for results you and your child will treasure for a lifetime. If the idea of a scrapbook doesn’t appeal to you and your loved ones, consider making a memory box instead. It’s similar to the summer vacation scrapbook, but instead of collecting images, stories and ticket stubs in an album, everything goes into a box. Old shoe boxes work very well for this. You can decorate the outside with drawings, pictures or paper that reminds you of summer. Then stick various different things in your box. The big advantage of a box is that it can hold three dimensional items that won’t fit into a scrapbook. You can add a special rock or seashell your kids picked up for example. Since we live in a digital age, I thought I’d include a few digital memory keeping options as well. The easiest digital thing to do is to create a folder on your computer or hard drive, or use a dedicated flash drive to save all pictures and videos you’ve taken throughout the summer. A nice addition would be a series of quick video interviews with each family member that includes their favorite memories from the summer. Sometimes we even create movies with all of the summer photos as a way to remember and then place the CD into our memory box! I’ve really gotten away from scrapbooking and it’s so overwhelming to think about. I appreciated the digital and box suggestions! Oh how I miss the days of scrapbooking!! I use to love to go to scrap meet ups. Now days I tend to purchase more photo books that I design online from Shutterfly or somewhere like that. We have definitely moved more toward the digital age as well…. life gets busy with the kids! But I don’t want to stop putting together books or memorabilia because we do love looking back at all of these photos and wonderful memories! I used to love scrapbooking. & I love Amy Tan. I might have to get some photos printed and create some non digital scrapbooking. Thanks for sharing at the Inspiration Spotlight party. Shared. I used to LOVE scrapbooking, I really want to get back into it. I have years of photos needing some love. Stopping by from SITS Sharefest and I hope you’ll linkup with our Pretty Pintastic and Small Victories Sunday Linkup parties both going on now! These are such great ideas and my favorite is the memory box! I want to do that with my family too. Thanks for sharing with us at Share The Wealth Sunday. I hope we see you again tonight! I wish I had the time to do this. I decided that the most important step is to weed through the thousands of digital photos and at least order some prints first! This is beautiful… and inspiring! Having a memory box where you throw things in for the year could be a starting point for you. Just mark the year and get a new one for each new year. Scrapbooking is wonderful (paper or digital or whatnot)… but also finding something that works for you is important. If you head over to the app’s main settings, you can manage how memories are saved in a new menu called Memories. Here, you can choose how the save button works. You can keep the default setting and save photos exclusively to your device or opt to save only to Memories or save to both.